In a world full of ambulance chasing and people demanding something for nothing, the topic of financial ethics is something that you will have to discuss with your children at some point. We see commercials about it on a daily basis and even during your children’s favorite shows. Whether it is claiming compensation for a car accident, mis-sold PPI, or an accident in work it’s these things that are communicating to our children that we are able to get something for almost nothing. So it’s important to differentiate between ambulance chasing and gaining compensation that is owed to someone as a result of an accident. But when you see stories about someone suing another person for what can be perceived as a minimal issue, where do you draw the line? In our material-laden lives, it is very difficult to communicate to our children the importance of saving money, especially when it is that much harder to do now. It’s a lot more difficult to show your children what money can buy when you don’t have much of it. A small round of shopping can cost upwards of £50, which, for many people is the equivalent of a day’s wage. And as inflation inevitably rears its ugly head, and items become more expensive, the temptation to get some sort of compensation where you can is always there. At least 50% of the population of the UK do the lottery once a month, so that shows 50% of people are looking for a financial windfall to solve their problems. So if you have a means to claim compensation, it’s quite difficult to argue with when so many of us are so financially stark that we try and find ways to make as much money as we can, while we can. So, communicating to your children about the topic of compensation is where we can get into a moral gray area. The best thing to do is to define clear boundaries about when people should claim compensation. 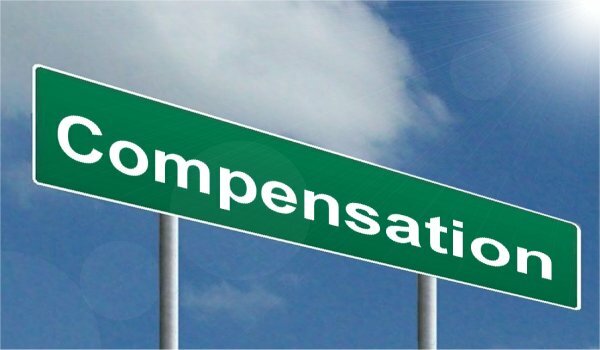 This is all dependent on your own personal views of course, but the definition of compensation would be financial help in the event of an incident causing physical or psychological harm to someone which has a detrimental impact on their life. So if you had a car accident that was caused by someone else and you were unable to work, then surely it’s within your rights to claim compensation for this? You would claim compensation for the amount of money that you feel you were owed because it had an impact on your life. The issue would be if you contacted the insurance company and they tried to minimize your claim in one way or another, and getting an attorney to stop the insurance company trying to minimize your claim is a route that you may need to go down if you have this issue because you may be in a delicate financial situation, such as needing to pay medical bills. The important thing to teach your children about financial compensation is if they feel they deserve this. It can be a very sticky area depending on their own moral compass. If you’re teaching your child the importance of financial responsibility yet you are seen trying to take someone to the cleaners for every penny they have, it’s setting a confusing example about the value of money. Ultimately the best way to strike a balance between the topic of financial compensation and the value of money and is to put it within a work context. If you can communicate to your children about the value of hard work and compensation is viewed as something that can help you when you are unable to work this might be the best approach if you are facing an impending decision on claiming for something in your family. You don’t want your child to feel that they are owed things without working for them, and until they are old enough to decide properly whether they are deserving of something without working for it, you are much better to instill this value of working for money when they are young. Compensation is such a sticky area to get into because everybody has their own opinions on if they are owed something or not. But if you can start off on the right foot and communicate the fact that money is something that is earned and using compensation as a replacement in lieu of not being able to work this should help to reduce the ambulance chasing tendencies that we see a lot in the Western world. Even though running a budget of a family business and running a household budget are in no way the same thing, they are more than closely related. In a way, the way in which you handle your family finances reflects the way in which a family business is governed. First, you start with one generation (the parents) who are in charge of running the household/company and then proceed to pass on the baton to their successors. At first, children or earning young adults are in charge of no more than slightly contributing, while in time they might start to play more vital role in the decision-making process as well. With this in mind, here are a few ways in which teaching your kids about household chores and budget might prepare them to take your place in the family business when the time comes. The first obvious connection between these two notions is reflected through the issue of roles and responsibilities. Each family member gets assigned tasks that are in accordance with their abilities and experience. For instance, you wouldn’t expect a 10-year-old to do the entire grocery run, but you might ask them to clean the bathroom, wash windows or even wash the car. Nonetheless, once you start adding these responsibilities, you need to give more recognition to your child in order to keep them motivated. Otherwise, you might make them feel underappreciated, which might discourage them from taking future initiative within the company. Another thing you need to keep in mind is that the age of the child (we used in the previous example) is not the best indicator of the part that they should take in the company. Corporate experience is a much more reliable factor. Of course, we are not suggesting you should push your child in a company business before they are ready or exploit child labor. Still, you could have them run some business errands during weekends or breaks at quite an early age. In this way, you can include them in the numerous processes of your business and have them learn about the company from inside. From these menial positions, they will later advance to some more delicate administrative tasks and in time even advance to a decision-making position. You see, the generation Z (the post-millennials) tends to be much more hyper-connected to the world and therefore might have some radical new ideas your company as a whole might benefit from. For instance, you might ask your teen about the advice surrounding your company’s social media campaign, especially if their peers are one of your target demographics. Next, you might consult them when inquiring about LED lighting solutions for your business and see where they stand in this regard. Having someone else (someone adult) actually need their opinion is definitely going to make them feel appreciated. Finally, one of the most important lessons that any parent can teach their child is – the real value of money. By introducing them to a family business you can show them where your family’s income comes from and in this way demonstrate that there is a finite amount of it that needs to be managed carefully. Next, instead of giving them an allowance, you can give them a ‘salary’ for all the hard work they invest in the household and family business. In the end, make sure they know the difference between emotional and rational purchases and in this way nurture healthy spending habits. They will need this as both adults and future management of your company. A lot of young people whose parents own family businesses feel the urge to abandon it and start something of their own. This, however, most commonly happens due to a mistake in the attitude that these parents sometimes assume. You need to make it clear from the very beginning that the company in question is not ‘mine’ but ‘ours’ and that they are the part of it from the moment you start it. Even if they are too small to serve as its active part, these children are probably the motivator of its existence. It is your job to make them feel this way, as well as to prepare them for all that is to come. The school day is relatively short, so it’s natural that some subjects will get less coverage than others. But the financial education of children has often been sorely lacking, with teachers leaving it up to parents to teach the fundamentals of how to save and spend safely. With the rocky economy we now find ourselves in, it is more important than ever that kids are taught how to be financially self-sufficient. Here are the three things we think they should be teaching about money in schools, and how you can help your kids in the meantime. ISAs, Bonds, Instant Access Savings, Notice Accounts… Even as an adult the choices can be confusing. So why are we suggesting these tricky concepts should be introduced to a child? Because when the Channel 4 programme SuperScrimpers asked people on the street, many had not even heard of ISAs, let alone knew the differences between each version. We’re not suggesting your kids should have an in-depth knowledge of each savings account, simply that they know they have options. And if you sit down with them next time you’re thinking about changing accounts, and talk them through what you’re doing, they will quickly learn how to go about researching their different choices. There was once a little boy who wanted a new toy. He asked his mum but she said she couldn’t afford it right now. The little boy thought about this for a moment, and then piped up happily, ‘we can just go and get some from the hole in the wall’. What’s the lesson from this tale? Well, firstly it shows that kids are exceptionally optimistic. But more importantly it reveals the lack of awareness often shown by children about where money comes from. And the problem is growing rapidly due to the onset of credit and debit cards: teachers have reported that those kids whose parents pay predominantly by card are less aware of the value of money than those whose parents still hand over notes and coins. Don’t get us wrong; encouraging a savings habit is hugely important. But growing up with the constant message that you can never touch your money can be just as harmful as the idea that constant spending will fix everything. Some people have been known to save and save, whilst never feeling they could actually spend any of their hard earned cash. Such an attitude can encourage stinginess and create continual dissatisfaction with what you already have. A controlled spending habit, where you set boundaries and create goals, is one of the best ways to foster a healthy attitude towards money. Are there other key lessons you think schools should be teaching kids? Let us know below. Almost half of parents believe that teaching children the value of money is one of the most important life lessons they could possibly learn. New research produced by Clydesdale and Yorkshire Banks, reveals that 48% of parents consider teaching youngsters the value of money to be in the top three most important life lessons. The majority of parents believe it is only behind ‘morals’ and ‘good manners’ in terms of valuable life lessons. As UK families tighten their purse strings more than ever, many believe that it’s important for younger generations to understand the value of money. The financial lesson starts at home with 93% of parents saying they personally teach their own kids about money matters. The research also found that schools are also helping children to learn about money. The research found that 18% of parents confessed that nobody had ever taught them about money while at school. In contrast, just 9% of school children say that nobody is teaching them about money. One way to help teach your child the value of money is with a savings account or junior ISA. From 1st November, millions of children will be eligible for the new savings scheme, which replaces the Child Trust Fund (CTF). Much like an adult ISA, savers will be allowed to deposit a limited tax-free sum. A junior ISA will allow parents, grandparents or family friends to regularly contribute up to £3,600 tax free, per year for children under the age of 18. However, only children who DO NOT have a CTF will be eligible for a Junior ISA.